Armen Living’s Centennial Chair is an amazing addition to any home. Offering vibrant youthfulness, sensual refinement, and bold individuality, this beautiful chair comes in a variety of colors and fabrics. With a contemporary design that has clean lines and generous padding, this chair looks and feels great. 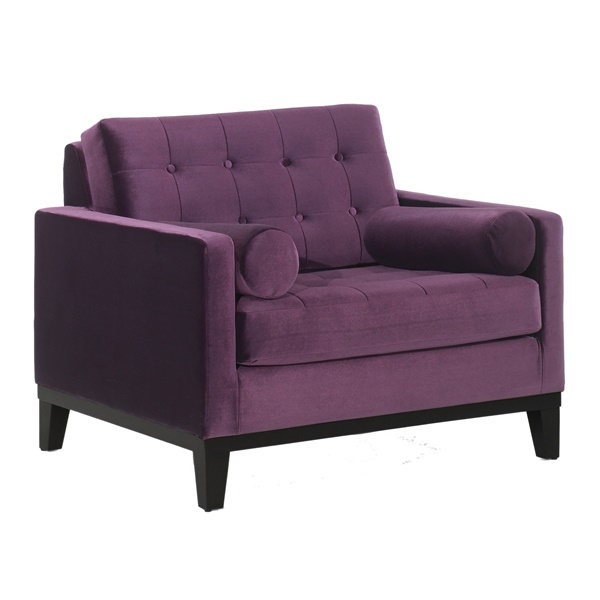 Its low back is sleek and low and offers button-tufted details. Use it alone or with the other pieces in the Centennial collection. Either way it’s going to look wonderful in your home. Generously padded for maximum comfort. Stable legs in rich finish. Eye-catching on its own or along with other Centennial pieces by Armen Living.